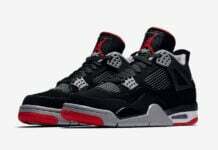 Along with the other Air Jordan models, the AJ4 is getting a makeover in the Pantone colorway, by Artistic Soles member, Ceesay14. 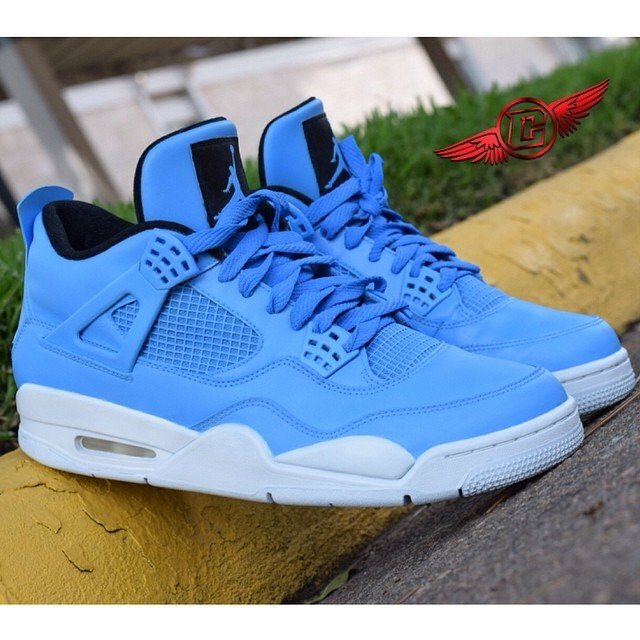 The Air Jordan IV (4) “Pantone” customs Ceesay14 have a powder blue tone present all over the uppers, with white taking over the soles. 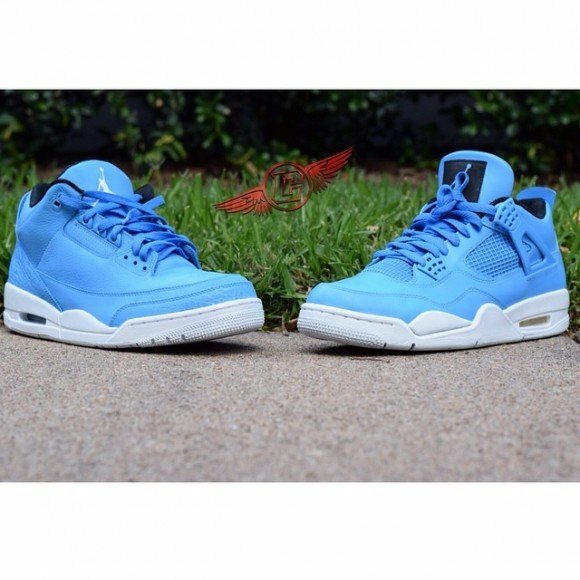 Everything from the paneling, lacing to the mesh netting on the midfoot, is covered in blue. The curvy, white midsole of the AJ4 provides a solid layer of contrast for the monochromatic uppers. Black tongue patches with blue branding that appears on the tongues. 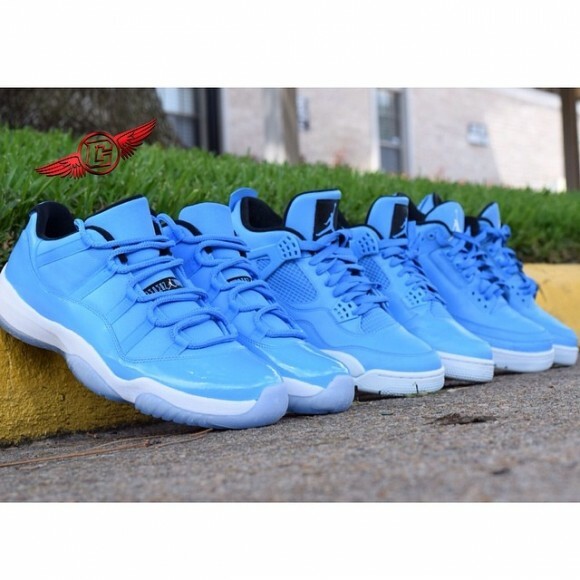 Ceesay14 did some work creating this Pantone themed pack of Air Jordans. 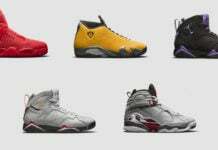 He originally started the project in April, with the Air Jordan VI (6) “Pantone” customs. More views of the pack are down below! 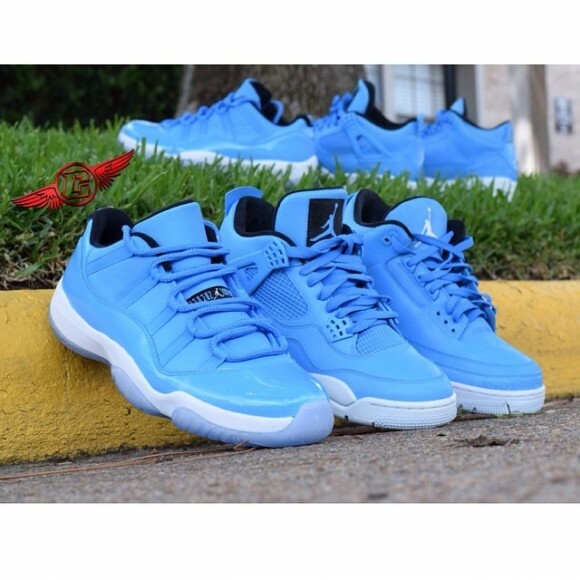 Which of these customs are your favorite -the AJ3, AJ4, AJ6 or AJ11? Let us know in the comments! Woulda went better with a darker blue but these are nice. Fernando Hernandez oh my god!!!! James James Boyce these are lovely int they! ?